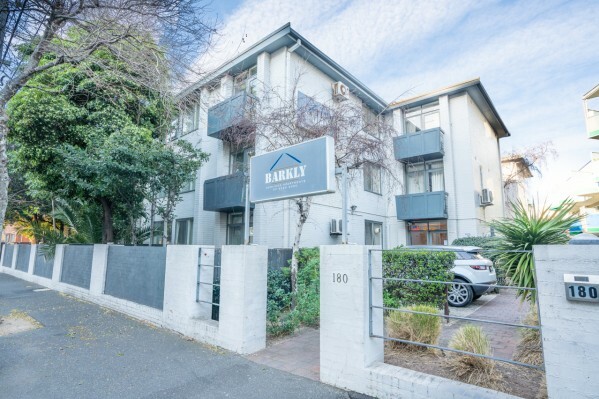 Located in the heart of St. Kilda, Barkly Serviced Apartments is just a short tram ride to the commercial hub of St. Kilda Road and Melbourne's city center. The cosmopolitan atmosphere of Acland St, with it's unique shopping and dining, is only a short stroll away. Barkly Apartments has 22 one bedroom apartments, recently refurbished, most with a private balcony or courtyard (ground floor). Each apartment features modern fully equipped kitchen and laundry facilities, with room to relax in spacious living areas. Complimentary off street, secure car parking is available to guests.